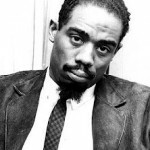 Eric Allan Dolphy, Jr. (June 20, 1928 – June 29, 1964) was an American jazz alto saxophonist, flutist, and bass clarinetist. On a few occasions, he also played the clarinet, piccolo, and baritone saxophone. Dolphy was one of several multi-instrumentalists to gain prominence in the 1960s. He was also the first important bass clarinet soloist in jazz, and among the earliest significant flute soloists. American vocalist, and musician. His music and style changed considerably through the years; his first album (1966) was mostly folk oriented, but over time his music incorporated jazz,psychedelia, funk, soul, avant-garde and an evolving “voice as instrument,” sound. 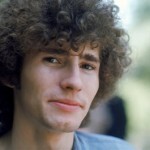 He died aged 28, leaving behind wife Judy and son Taylor, and son Jeff Buckley from his marriage to Mary Guibert. 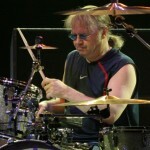 Ian Anderson Paice (born 29 June 1948) English musician, best known as the drummer of the English rock band Deep Purple. As of Jon Lord‘s departure in 2002, he is the only continuous member of the band, and as such is the only member to appear on every album the band has released. 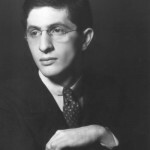 Bernard Herrmann (June 29, 1911 – December 24, 1975) was an American composer known for his work in motion pictures. An Academy Award-winner (for The Devil and Daniel Webster, 1941; later renamed All That Money Can Buy), Herrmann is particularly known for his collaborations with director Alfred Hitchcock, most famously Psycho, North by Northwest, The Man Who Knew Too Much, and Vertigo. He also composed scores for many other movies, including Citizen Kane, The Day the Earth Stood Still, The Ghost and Mrs. Muir, Cape Fear, and Taxi Driver.